In "The Witch of Clover Hill," there’s a great deal brewing in the witch’s cauldron. 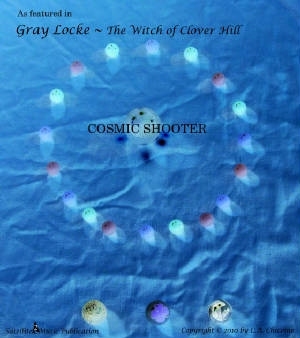 Gray Locke’s ten-year-old imagination shines through as he goes about trying to demystify luck, ghosts, and witches. The story begins at his home in Marlborough, Massachusetts. There, he shows his friends, Doug and Kevin, a four-leaf clover that he found. That sparks a competition between Gray and Doug over who can gain the most luck, using such charms as a stray eye-lash, rabbit’s foot, lucky penny, and lucky mibs. Then the story takes a turn when the boys meet the new kid, Mandy. Can they all be friends? When Mandy introduces her best friend, P.J., to the group, that question is put to the test. Then P.J. and the gang stumbled upon an old Ouija board game, and she convinces the others that they need the assistance of a witch to help make contact with someone from Gray’s past. While the witch’s cauldron is brewing with lucky charms and Ouija boards, Gray’s aunt brings him a gift. And that gift opened up an entirely new universe for Gray. Using his spaceship of the imagination–Mox–he becomes an intergalactic ranger and soars off to compete in a championship Super Shooter tournament. But he soon discovers that he got a little more than he bargained for. In order for him to win the tournament, he has to face witches, monkey-boys, rats, a worm, and a host of other entities. Using his imagination and intuition, Gray finds creative solutions to the challenges that lie ahead of him, both in the universe of his imagination and in the real world. This book is the second of a series of stories inviting readers to glimpse into the life and times of this original character–from his childhood through to adulthood. The Witch of Clover Hill is geared for ten to fourteen-year-olds. Now Available in the U.S. on Amazon, and in the U.K. on Amazon.co.UK. This is the second book in the Gray Locke series, ideal for 9 - 12-year-olds. 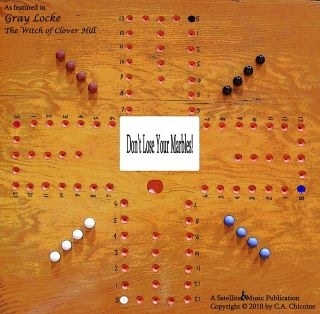 Here for You -- This is one of two songs featured in the book "Gray Locke: The Witch of Clover Hill," by C.A. Chicoine. This is an acoustic guitar version. Playing Time: 45 – 90 min. Rules are in the attachment below. 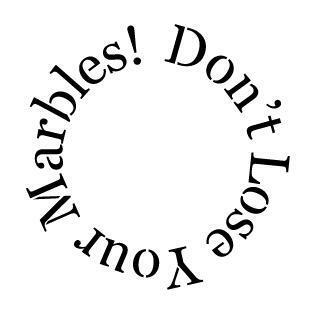 This game is played with marbles. Object: To be the first player, (mibster), to knock seven (7) marbles, (mibs), out of play, (out of orbit). The following are links to websites that have either been mentioned in the Gray Locke stories or have some connection with the series. 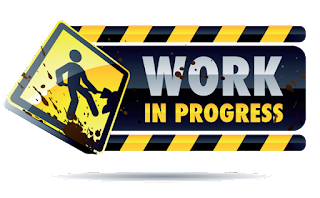 The following links listed below do not necessarily reflect the views and opinions of this author, nor necessarily endorse this book series. It is for informational purposes only. New England's Natural Bridge - This park was the inspiration for the settings in the book, "The Mystery of the Weeping Rocks," that took place on the outskirts of the Windsor's estate. It is also revisited in the book, "The Witch of Clover Hill." The Marlborough Historical Society -- Learn more about the history of this city. The Marlborough, Massachusetts Historical Listings and Pictures (1660-1910) and Contemporary History from 1910-1999. The Marlborough Heritage Festival - The actual festival featured in the book, "The Witch of Clover Hill." First Candle - First Candle is a national nonprofit health organization uniting parents, caregivers and researchers nationwide with government, business and community service groups to advance infant health and survival. The Lupus Foundation of America, Inc. - The Lupus Foundation of America, Inc. (LFA) is the foremost national nonprofit voluntary health organization dedicated to finding the causes of and cure for lupus and providing support, services and hope to all people affected by lupus. William Fuld.com - The Ouija board and its history. TeoStudio - Teo is a freelance artist who has developed a passion for bookbinding. One of her hand-crafted journals was used in one of the illustrations in the book, "The Witch of Clover Hill." As readers of my first book well know, I take delight in colouring my stories with local history and local lore. 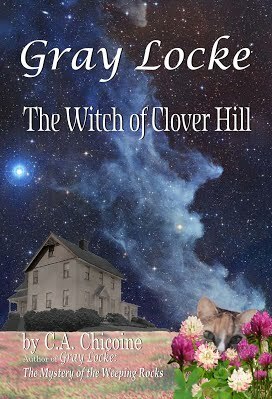 And I have taken the liberty of doing so with my latest book, "The Witch of Clover Hill," as well - if only mildly. -Boy in the brook: Mentioned in Chapter Two. The accident mentioned occurred at the Natural Bridge State Park, North Adams, Massachusetts, on April 25, 1891. One late afternoon, an eleven-year-old boy, Robert H., and his friends were visiting the Natural Bridge. When there the same desire that everyone who visits the spot experiences – to see the swish and dash of the angry waters and the strange forms and shapes worn in the rock, – was felt by the boys. At a point, a dozen feet below the Natural Bridge the chasm which at the surface is not over ten or twelve feet wide is spanned by a bridge placed there to support the large pipe that conveys water for power from the dam above to the mill below. The bridge timber at the side of the pipe furnishes a walk, safe to a man of steady head, not only to cross the chasm but from it, one of the best views of the cavern below to be obtained is had. One or two of the boys had crossed, and Robert had gone out over the chasm to look at the rushing water and turned to return to the bank when overcome by dizziness he lost his balance and suddenly disappeared, falling downward between the precipitous walls into the waters fifty feet below to his death. A storm had come before his body was found, but they still continued to search by the aid of lanterns and torches. However, his body was not recovered until the following day, about fifty yards downstream. Although the Natural Bridge is a beautiful place, it doesn't come without danger.You can learn more about the history of New England's Natural Bridge, and of some of the documented accidents that have occurred there over the last couple of centuries HERE. -Salem Village witch: Mentioned in Chapter Three. The witch from the Salem Village witch trials that moved to Marlborough, as told by the character P.J., is based on an actual occurrence. Sarah Towne Cloyse was accused of being a witch but then released. She and her husband, Peter, moved away to Marlborough, Massachusetts. However, Sarah Towne Cloyse is in no way shape or form related to the fictional character Priscilla Gagliardi, as depicted in P.J.’s tale. 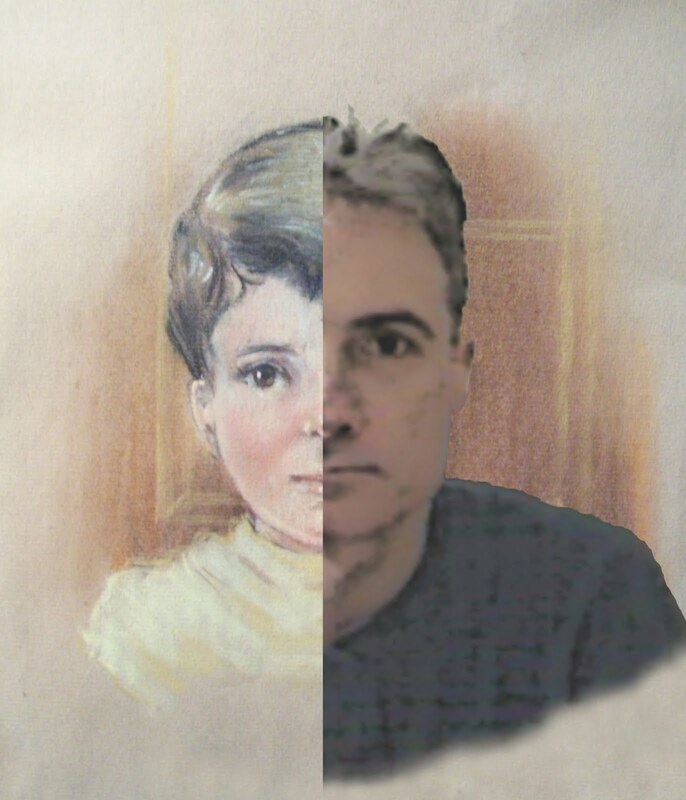 To learn more about the real Sarah Towne Cloyse, please visit the web-link HERE.